On this very special edition of The Morpheus Soul Show we pay tribute to legendary musicians Prince Rogers Nelson and Philadelphia soul man Billy Paul who both sadly passed away this month. The super talented Grammy award winning artists will be missed by family, loved ones and fans all across the globe. Another two great losses to the world of music. R.I.P. As well as music from Billy Paul and Prince we also feature “Prince” related covers, reworks and collaborations with D’Angelo, Erik Rico, Seven Davis Jr. The Foreign Exchange, Sy Smith, Támar Davis, Carlitta Durand, Zo! & ?uestlove. Plus; The Morpheus Soul Top Five Countdown includes one climber and two brand new entries. 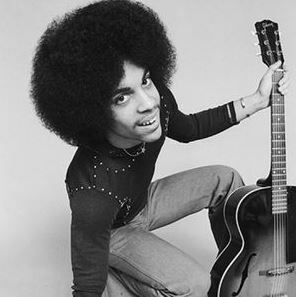 Produced, written and composed by Prince and Támar Davis.